Every day there is news of Internet services and user account being hacked and personal information taken by hackers. Even though companies are constantly improving their security features it seems hackers are right behind in find holes and vulnerabilities in the security. You can make things even easier for your accounts to be compromised by using easy and insecure passwords on all your accounts and services. Here are some tips to help improve the security of your accounts and try to prevent your information from being compromised. Even though there are ways to improve your account password and security it will all be for not if you are using an Internet service that doesn’t provide decent security of their own. I have experienced this recently with one of my older email providers Yahoo. Even though I had a strong password my account was still hacked and spam mail was being sent from it. This is constantly happening to Yahoo mail users because the hackers can use the Yahoo API and get around any account security. Because Yahoo is constantly being hacked and not able to secure my email I have since left the service and started using a more secure email service. This is one of many examples that show no matter what you the user do to protect your password if the company cannot protect its services your account will be compromised. Anyone who says you can be 100 percent protected from hackers is probably lying to you. No matter what we do there is always a chance someone can find a way into our accounts. But there are many ways for you to improve your account security and make it harder for someone to get your account credentials. Here are some suggestions I have to help improve your passwords and account security. The password is the last line of defense when it comes to accessing your account. If a service is hacked and they get account user names and if the hacker has to crack the password than the longer and harder the password the better chance you have. But because there are advanced programs that can crack all of our supposedly tough passwords we have to come up with longer and more secure passwords which are even harder to remember.This is where a password manager will help, instead of having to remember all the crazy long passwords for all your services you can use a password manager to come up with secure passwords and remember them for you. No it can seem crazy to trust a program with passwords to all your accounts but if you use a password manager all you have to do is remember 1 really secure password and the rest you will be generated in the manager, which can allow you to create and use super long and secure passwords for you accounts. 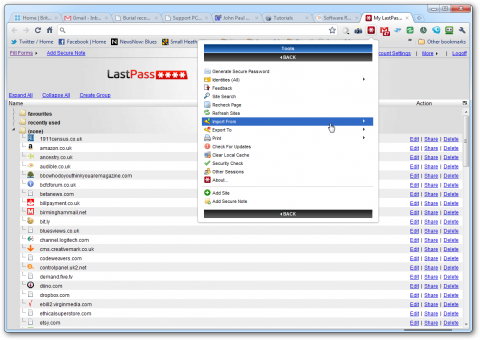 LastPass is the password manager that I currently use and I am very happy with the service. Last Pass unlike other managers is cloud based, which means your password database is hosted on their servers and you can access it from any computer of device. This might be a little worrisome but the database is encrypted and only you have the master password required to open it. The master password is the one password you absolutely have to remember or you may be lock out of your password vault. Last Pass has extensions for all the major web browsers so you can manage your password vault inside the web browser. With the LastPass extension you can also auto login to websites using your saved username and passwords. LastPass will also prompt you to generate a complex password when you are on a signup webpage. LastPass is free and does have a premium service for $1 / month which allows you to use the service on your cell phone. 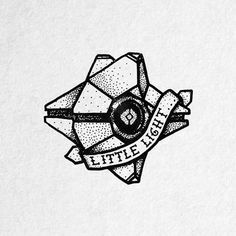 I have been using LastPass for several months and I am very happy with the service it is great for all the passwords I have. The service even has a test that show what duplicate passwords you have and which passwords are insecure and need to be changed. Whenever you visit a webpage and login LastPass asks if you want it to remember it and you can even organize your passwords into different folders and setup LastPass to auto fill or auto login to websites you have accounts on. I would give LastPass a try to see if it helps you create better passwords and keep your accounts a little more secure. 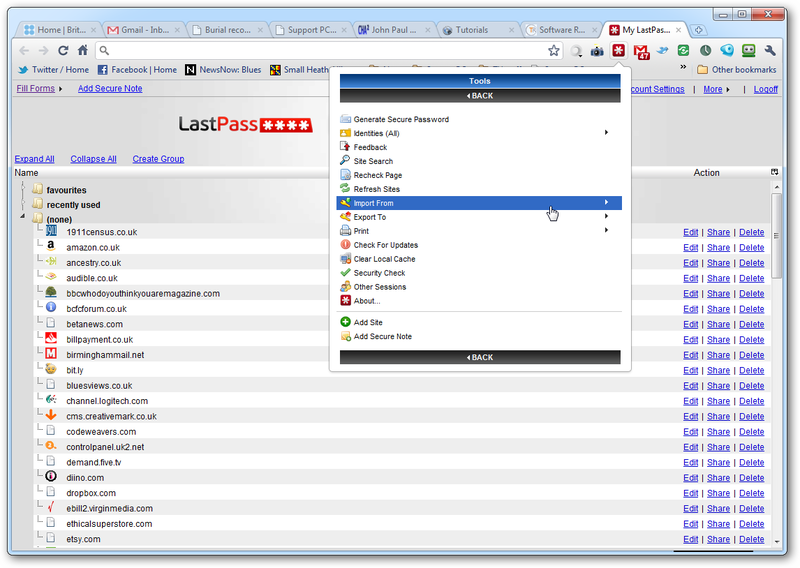 To find out more about LastPass check out their website. KeePass is free and open source software for many platforms that keeps your password encrypted on your computer. 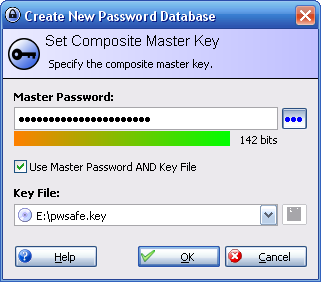 KeePass creates an encrypted Database of usernames and passwords and you have one master password like LastPass that is used to open the database and use the passwords stored there. Unlike LastPass the database is typically stored on your local computer instead of on cloud servers, but you could also use a service like Dropbox to store the password database or move it to more than one computer. KeePass offers many features to help keep your passwords secure like copying and pasting your login information at websites so you won’t have to type them in. KeePass also has a complex password generator so you can create and store your secure passwords right inside the program. You can also organize your passwords into different folders like banking and email to make finding your passwords easier. KeePass does not have a browser plugin and is separate so you will need to manually enter your passwords into the database. This means KeePass is not automatic or streamlined like other password managers which may be a disadvantage to some user who want a simple easy to use password manager. Overall KeePass is a very secure password manager and would be a good choice for anyone who doesn’t mind entering passwords and wants to protect themselves from hacker and key loggers. 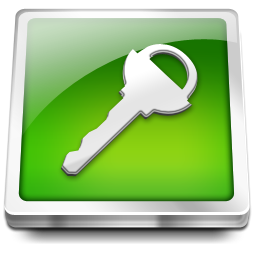 KeePass works on most platforms including Windows, MAC OS X, Android, iOS, and others. To find out about all the different features of KeePass and try it for yourself go to KeePass.info there you will get info on features and can download it for your device. There are many different password managers available online but LastPass and KeePass are the most popular and reputable available. By using a password manager and creating complex passwords you will improve the security of your online accounts and increase the odds of protecting your account and personal information. I hope either of these password managers will help you stay secure and improve your passwords. There is always more ways to protect your computer and online accounts so stay tuned for my next post in the series which will talk about other ways to protect online accounts. If you found this post informative and helpful make sure to share it so more people can learn about password security. Feel free to leave any thoughts about the current state of password security or which password manager is the best, in the comment section down below.